$30 Donation - Lake Houston Fishing! 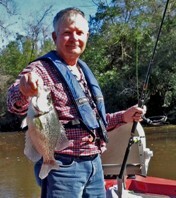 Im planning on being there Saturday to donate $30.....First time fishing on Lake Houston for crappie...check. First time fishing for crappie in ~ 20 years....check. First time fishing for crappie with jigs....check. good luck be safe . Be good to see you there Raptor ,LORD KNOWS I HAVE DONATED PLENTY OF TIME BUT LOVE THE COPETITION AND ALL THE GUYS THAT SHOW UP. Looks like you have the goods to get started in that picture! Best of luck to you Raptor, see you at the weigh-in!